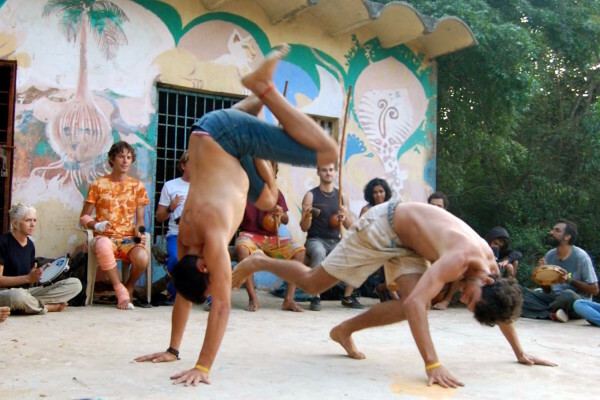 The group offers classes in Auroville and its surrounding area continuously since 2007 and focuses on developing the Capoeira form inherent to each individual in the respect of the tradition and in the understanding of the actual evolution of Capoeira. 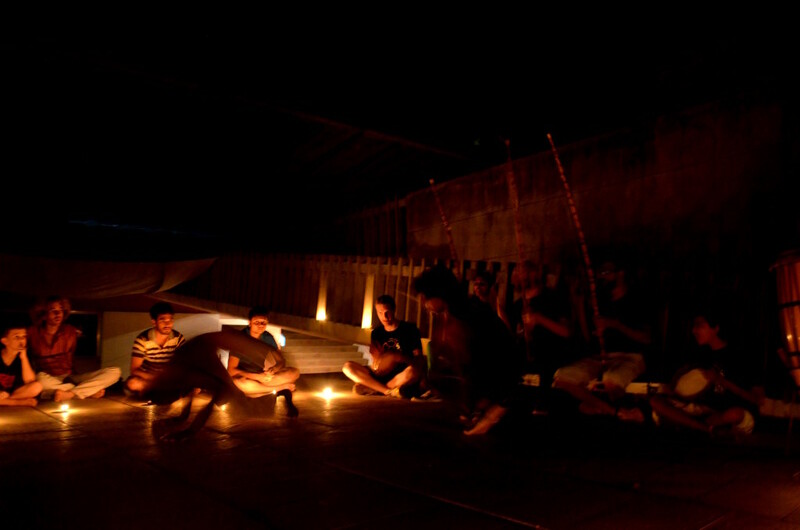 But also, brings awareness about the Brazilian culture. 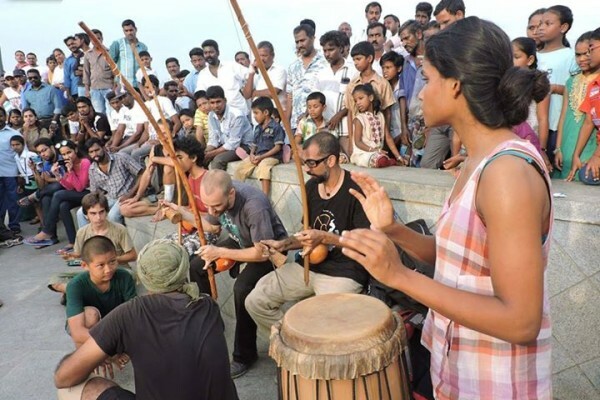 Prof. Samuka da Índia & his students lead the classes in Auroville, Puducherry (Pondicherry) and Chennai with the aim to develop the art and open the doors of the family’s house to the largest. 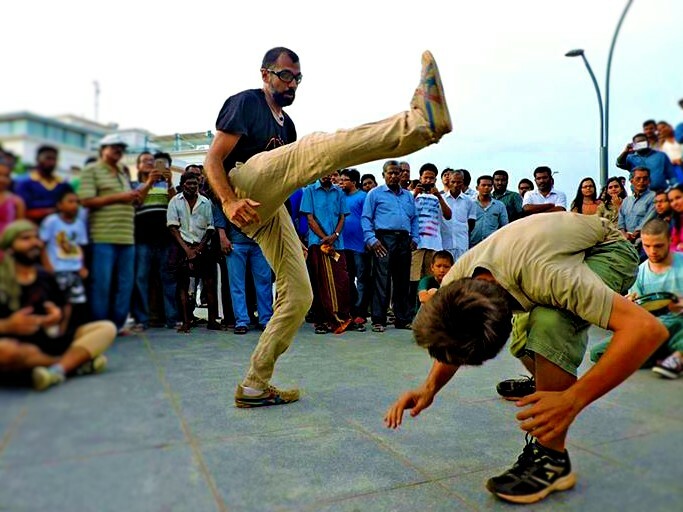 All meet in a monthly Capoeira Roda happening in various public places around Pondicherry and open to all capoeiristas. 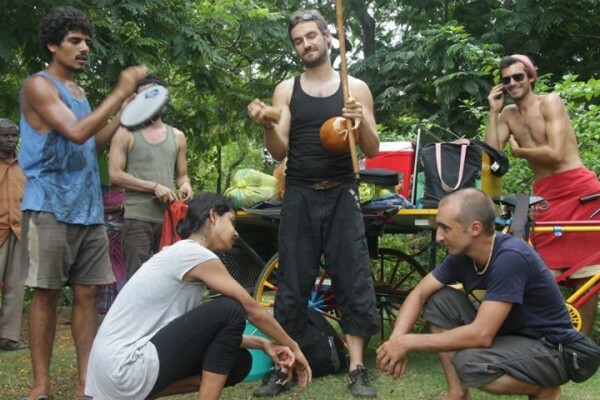 Among other projects, Ginga Saroba started a collaboration with Svaram (Unit of Auroville) to design and produce handmade quality capoeira instruments to provide to Asian capoeira groups affordable and quality musical instruments. 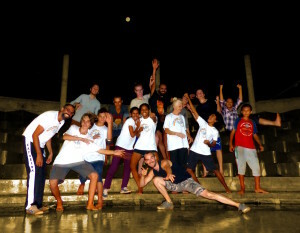 Every year the group organizes a festival called ‘A Vadiaçao das Velas‘ (The vagabond flares) happening around February / March to celebrate Capoeira, unite capoeira teachers from around India, share a joyful moment with fellow capoeiristas and offer a magical experience to the students of Ginga Saroba. ‘Saroba’ has for origin fitness clubs (gym) and was used as an antonym of ‘sarado’ which designates someone with a body well cut and worked out. From there it started to be used by some Capoeira group to designate capoeiristas who don’t have a certain expected aesthetic in their game. 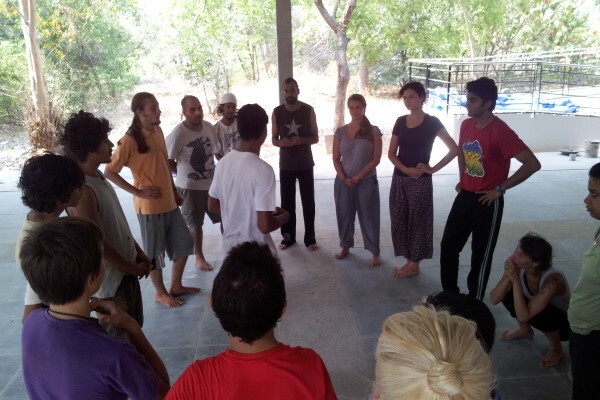 For us Saroba is a questioning: What are we trying to achieve with Capoeira? If you want to explore the answer, meet our family.